During this next month Lasting Engraving, located in Logan, UT, wants to focus on all of our amazing Cache Valley schools. We feel very privileged to have been able to design awards for students and teachers. Cedar Ridge Middle School has an amazing program that they do with their students. The lunch-time Intramural program was started by Zac Bettinger at Cedar Ridge when the school was built in 1986. Upon Zac’s retirement in 2009, Sherese Merrill took over the Intramural program which was generously handed over from Zac. The students are so lucky to be able to have such an amazing person to take over and to make sure that they are still able to do such fun activities. During some of the lunch breaks, the sixth and seventh grade students are able to sign up for various intramural activities. The activities included field goal kicking, 50 -yard dash, high jump, 3 Point and Free Throw Lightning basketball, leg wrestling, arm wrestling, bleacher bowling, ping pong, badminton, limbo, hippity hop races, hurdles, team tug of war, and volleyball. The kids have so much fun doing this. 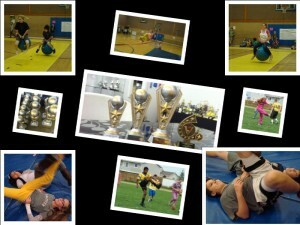 During the different intramurals, they take hundreds of pictures and post them throughout the school. At the end of the year, the top 10 finishers of each grade and each gender received trophies. 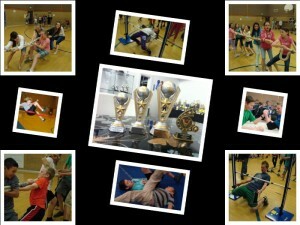 An Intramural assembly to award the trophies is held at the end of May to present the students with their trophies. The students and faculty also get to enjoy a slideshow of the students competing in the intramurals. Thank you again to Sherese Merrill for carrying on this fun tradition for the students to participate in. 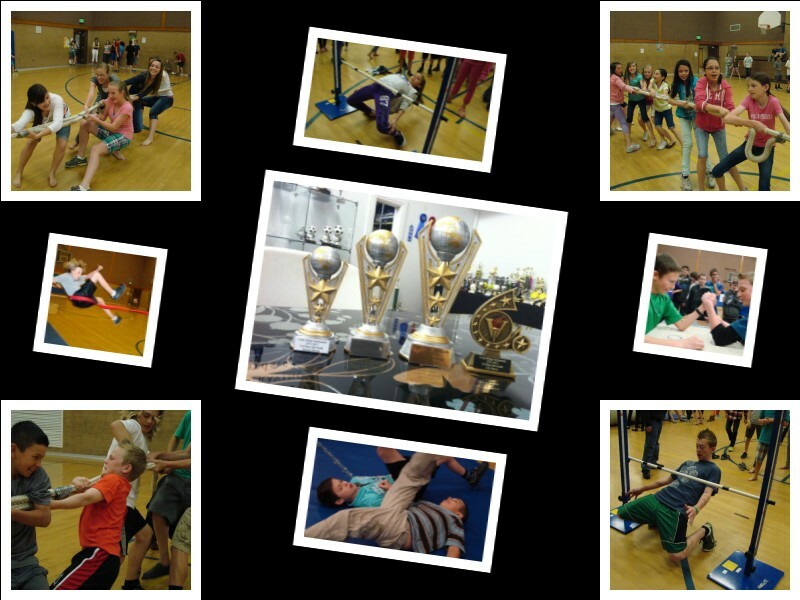 Here are a few of the fun pictures of the students from Cedar Ridge Middle School. Lasting Engravings believes in giving back. We support our special needs community by giving them the opportunity to work and build skill sets. They are able to come to Lasting Engravings located in Logan, UT, and refurbish the donated awards and trophies and help with the labeling of other awards we design here. Sherry enjoys coming and working at Lasting Engraving; she takes her job very seriously. She is very particular with her work and makes sure that she does her best. Thanks for your help Sherry! We also work with Cache Employment and Training Center to give their clients the opportunity to come work. 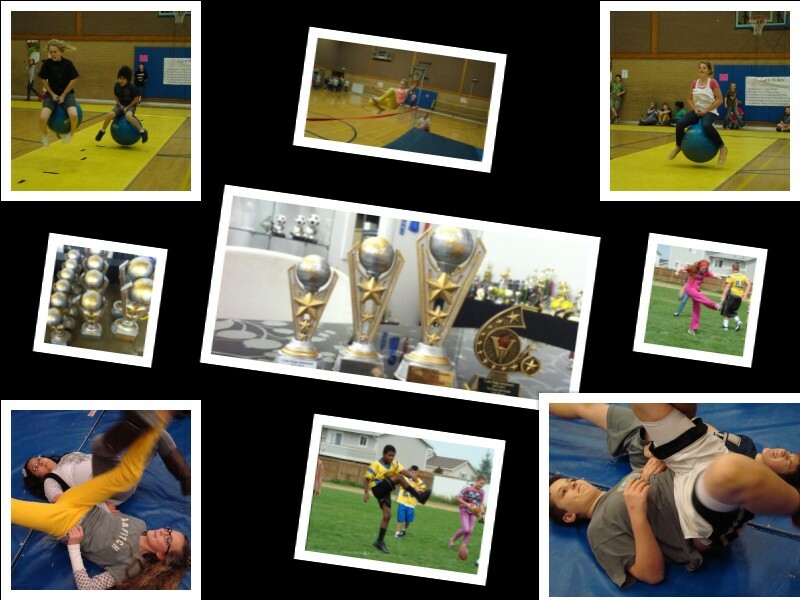 Our “Donated Awards” program helps them to build skills by coming in and refurbishing the awards. We thoroughly enjoy working with them and giving them this opportunity.